The Role Reporting to the People and Culture Manager, this newly created role will provide a range of HR services, including coordination of day to day employee HR needs as well as administration of employee life cycle. Working alongside various stakeholders, the successful applicant will deliver effective people and culture strategies to support business growth. To succeed in this role, the applicant will be motivated by challenges and solving problems which helps make our business better. Attention to details, enthusiasm and the ability to work in a fast -paced (but fun) environment is a must.Key Responsibilities End-to-end workforce planning and recruitment to meet manpower requirement in a timely fashion.On-boarding and induction delivery as well as the review of induction materials to ensure effective support to new hires which help set our people up for success.Management of staff availability and rostering for OSHC and Vacation programs.Employee life cycle administration including employee engagement, recognition and reward, employee relations and performance management.Review and implementation of HR policies and procedures to meet evolving organisational needs.Utilise relevant software and technology to ensure accuracy and up-to-date staff records and credentials which meet regulatory compliance.HR analytics and reporting.Essential Criteria 2-4 years’ relevant experience in a HR Generalist role.Demonstrated performance in volume recruitment in a multi-site and time sensitive manner.Demonstrated ability to build and maintain effective stakeholder relationships.Sound prioritisation, organisation and communication skills both verbal and written.Sound understanding of employment legislation and HR best practices.Work autonomously and collaboratively in a dynamic and fast-paced environment.Business acumen with high level of organisational awareness.Willing to learn and grow in this role as well as embrace professional development and training opportunities.Willing to travel interstate.The Benefit Full time role with the largest national family owned and run OSHC provider.Great career progression and professional development.Very positive culture, engaging team and supportive management.The TeamThe difference is Extend. There has never been a better time to join our dynamic and passionate team. We are seeking an individual who is looking for an exciting, challenging and rewarding career. At Extend our focus is on quality - providing the opportunities kids should have through engaging and educational activities. If this resonates with you, then join the team with a difference!How to apply This is a great career opportunity for a suitable candidate seeking a dynamic role with a national family owned and operated OSHC provider. Please submit your Cover Letter addressing the essential criteria and Resume today. For more information contact our Head Office 1300 366 437 or 0455 105 954. Reporting to the People and Culture Manager, this newly created role will provide a range of HR services, including coordination of day to day employee HR needs as well as administration of employee life cycle. Working alongside various stakeholders, the successful applicant will deliver effective people and culture strategies to support business growth. To succeed in this role, the applicant will be motivated by challenges and solving problems which helps make our business better. Attention to details, enthusiasm and the ability to work in a fast -paced (but fun) environment is a must. End-to-end workforce planning and recruitment to meet manpower requirement in a timely fashion. On-boarding and induction delivery as well as the review of induction materials to ensure effective support to new hires which help set our people up for success. Management of staff availability and rostering for OSHC and Vacation programs. Employee life cycle administration including employee engagement, recognition and reward, employee relations and performance management. Review and implementation of HR policies and procedures to meet evolving organisational needs. Utilise relevant software and technology to ensure accuracy and up-to-date staff records and credentials which meet regulatory compliance. 2-4 years’ relevant experience in a HR Generalist role. Demonstrated performance in volume recruitment in a multi-site and time sensitive manner. Demonstrated ability to build and maintain effective stakeholder relationships. Sound prioritisation, organisation and communication skills both verbal and written. Sound understanding of employment legislation and HR best practices. Work autonomously and collaboratively in a dynamic and fast-paced environment. Business acumen with high level of organisational awareness. Willing to learn and grow in this role as well as embrace professional development and training opportunities. The difference is Extend. There has never been a better time to join our dynamic and passionate team. We are seeking an individual who is looking for an exciting, challenging and rewarding career. 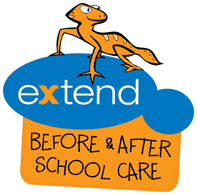 At Extend our focus is on quality - providing the opportunities kids should have through engaging and educational activities. If this resonates with you, then join the team with a difference! This is a great career opportunity for a suitable candidate seeking a dynamic role with a national family owned and operated OSHC provider. Please submit your Cover Letter addressing the essential criteria and Resume today. For more information contact our Head Office 1300 366 437 or 0455 105 954.